Solicitor John Wilson stated in 2004 "There used to be the Law Society Complaints Section. Then it was renamed the Solicitors' Complaints Bureaus, then renamed again the Office for the Supervision of Solicitors, and recently renamed again the Consumers Complaint Service. But nothing ever changes, except the name. 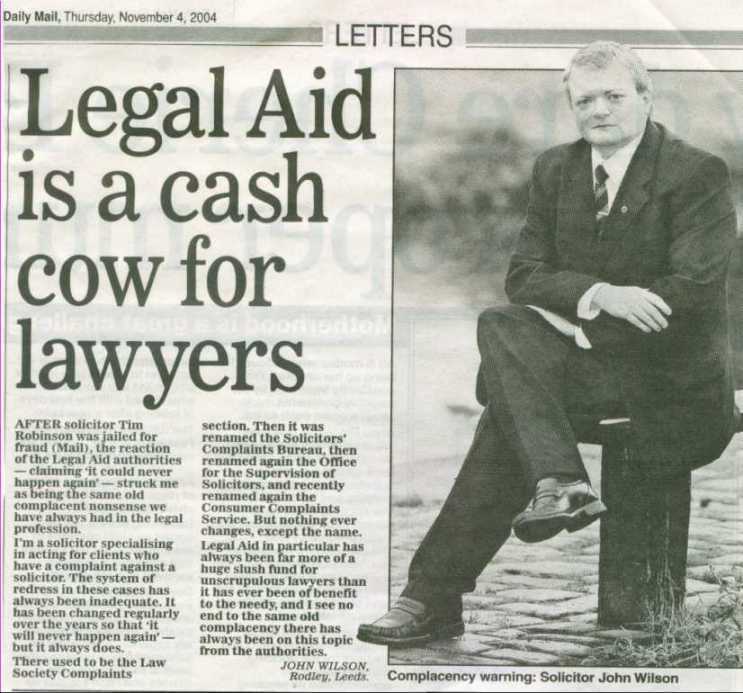 Legal aid in particular has always been far more of a huge slush fund for unscrupulous lawyers than it has ever been of benefit to the needy, and I see no end to the complacency there has always been on this topic from the authorities". . . Oh dear, an email turned up in my mail box and it appears John is not too 'Squeeky' clean.